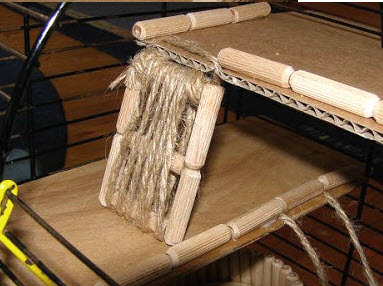 Make a Ramp out of ropes for your hamster to climb! Glue some dowel pins into the shape of a ladder using nontoxic glue. Wrap a sisal rope around the ladder lengthwise and tie the ends of the rope together. Use another piece of rope to tie the ramp to the upper level in your pet’s cage.